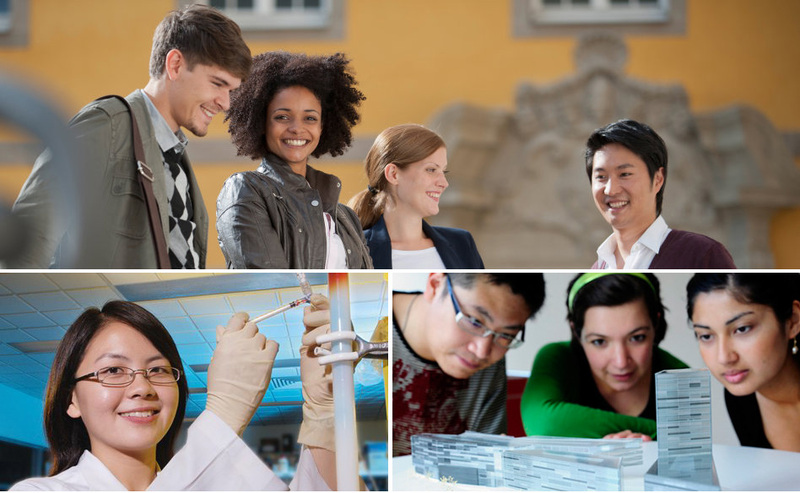 The German Academic Exchange Service (DAAD) is the organisation of German higher education institutions and their student bodies devoted to internationalising the academic and scientific research system. Through its scholarship programme, the DAAD enables students, researchers and instructors to take advantage of the best study and research opportunities available. It promotes transnational co-operation and university partnerships, and is the German national agency for EU higher education co-operation. Consequently, the DAAD supports Germany’s foreign cultural and educational policy goals, national scientific policies and development co-operation efforts. In addition to overseeing the International DAAD Academy (iDA), the DAAD operates a network of 70 branch offices and Information Centres and about 500 Lectors worldwide. In 2014, the DAAD provided funding to almost 121.000 German and foreign academics around the world. Its measures helped finance foreign study trips for young students, doctoral research, guest lectureships, informational visits and the establishment of universities abroad. The DAAD also supports the international activities of German universities through marketing services, publications, events and continuing education measures. Most of its operating budget is financed by the German Federal Foreign Office, the Ministry of Education and Research, the Federal Ministry for Economic Cooperation and Development (BMZ), the European Union, business, organisations and foreign governments. The DAAD supports over 100,000 German and international students and researchers around the globe each year – making it the world’s largest funding organisation of its kind. We also promote internationalisation efforts at German universities, help developing countries build their own systems of higher education, and support German Studies and German language programmes abroad. Our Artists-in-Berlin Program is one of the most renowned international scholarship programmes for artists. In 1922, a student from Heidelberg visited the United States and organised scholarships for fellow students in New York. It was a project that ultimately became the DAAD. A success story. For DAAD’s history since then, visit https://www.daad.de/der-daad/unsere-mission/en/32996-from-the-very-beginning/. With increasing globalisation and more people gaining access to higher education than ever before, there is a growing need here in Germany and abroad to offer scholarships to outstanding students and researchers who will later achieve positions of responsibility and remain in steady contact with Germany or their host country. The DAAD offers a wide range of funding programmes which ensure that scholarship recipients are selected on the basis of a demanding, but fair review process, in order to help them study and research successfully. Most foreign DAAD scholarship recipients are master’s students or doctoral candidates. The reason for this funding priority is that graduate students have already proven their academic performance and stand to benefit more from a scholarship than students in their undergraduate phase of study. The DAAD does award scholarships to bachelor’s students, but only to the best graduates of German Schools abroad. By focusing our funding efforts on supporting PhD and master’s students, we are contributing to building a pool of young university instructors abroad and cultivating contacts to the political, business and cultural leaders of tomorrow. Click here to check out DAAD's Strategy for 2020 and see what is planned for the future. You can also take a look at DAAD's specific profile in Indonesia which is filled with interesting facts by clicking here.